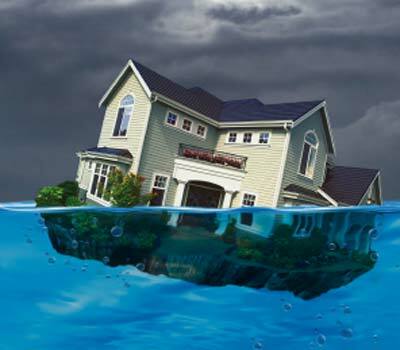 While 10.7 million residential homeowners nationwide owe at least 25 percent or more on their mortgages than their properties are worth, another 8.3 million homeowners are either slightly underwater or slightly above water, putting them on track to have enough equity to sell sometime in the next 15 months--without resorting to a short sale. The 8.3 million include homeowners with a loan to value (LTV) ratio from 90-110 percent, meaning they have between 10 percent positive equity and 10 percent negative equity. These homeowners represented 18 percent or all U.S. homeowners with a mortgaged as of the beginning of September. The 10.7 million residential properties with an LTV ratio of at least 125 percent represented 23 percent of U.S. residential properties with a mortgage--down from 11.3 million deeply underwater properties representing 26 percent of all residential properties with a mortgage in May 2013 and down from 12.5 million deeply underwater properties representing 28 percent of all residential properties with a mortgage in September 2012. "Steadily rising home prices are lifting all boats in this housing market and should spill over into more inventory of homes for sale in the coming months," saying Daren Blomquist, vice president at Reality Trac. "Homeowners who already have ample equity are quickly building on that equity, while the 8.3 million homeowners on the fence with little or no equity are on track to regain enough equity to sell before 2015 if home prices continue to increase at the rate or 1.33 percent per month that they have since bottoming out in March 2012."